Individually manufactured to last a lifetime, Delabole Slate commemorative plaques can be personalised with your individual message. 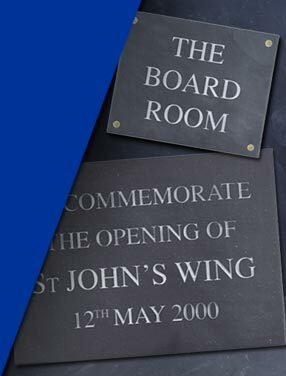 Our commemorative slate plaques are maintenance free, are 15mm – 20mm thick and are available in a honed finish. Suitable for indoor and outdoor display, commemorative slate plaque wording is centralised as standard in a Roman style font.